1. Tell us why you decided to use Integrity in your project. What drove your decision? Our energy modeling (part of the LEED process) led us to seek out a fiberglass window versus typical vinyl that had originally been spec’d. Due to the large amount of south-facing glass, the quality of our windows had a dramatic effect on the projected energy consumption of the home. Our models concluded that the fiberglass windows from Integrity performed virtually as well as a typical triple paned window, but for less cost. 2. What was your favorite part about this project (besides the windows!)? Our favorite part was to bring such an exciting design to life. 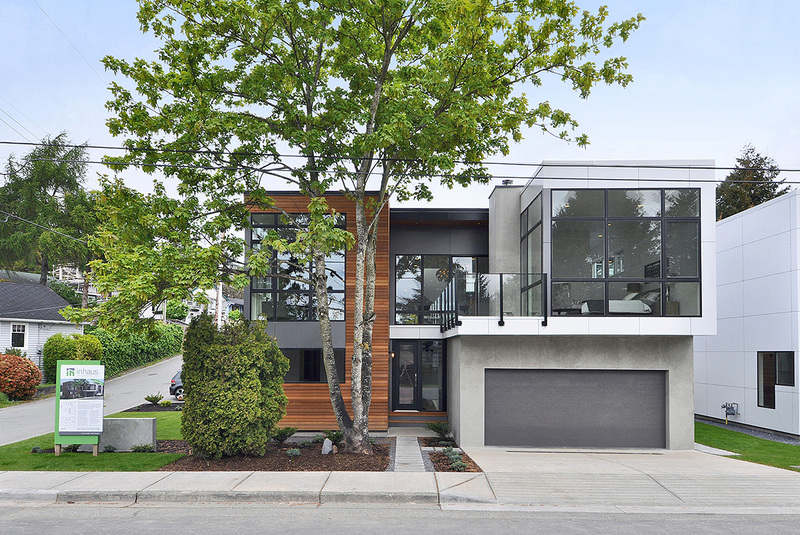 It has been a goal for years to develop a dramatically contemporary home. We felt that this beach community was the perfect place to build such a project, and the community response has been overwhelming to say the least. The fact that it was the first LEED Platinum project in the area didn’t hurt either! 3. Can you give us your thoughts about the building industry today? Do you see improvement? If so, how? If not, why? I feel that improvements are being made, albeit slowly. Compared to Europe and other parts of the world we live in a very mild climate, with easy (and inexpensive) access to both building materials and energy. I feel that as energy prices begin to creep up it will drive further innovation in building practice, much like we see happening in Europe today where energy costs (ie: heating) can cost three to six times what we pay in North America. That kind of financial burden really drives innovation. 4. You obviously have a lot of experience building beautiful homes! Can you talk a little bit more about how you balance managing your customers’ expectations and producing the best product possible? 5. The building industry can be very rewarding. Are you concerned with the future of it, as it pertains to attracting young talent? What more could the industry do to ensure it remains a choice career option? More training! In our area there is very little training for contractors. Most come from a certain trade and then just learn the rest “on the job”. This does very little to improve the industry and does not provide a clear roadmap for young people wishing to enter the industry. The advancement of computers in the business will also help – we finally see iPads and 3D modeling being accepted on the jobsite, not just in the architect’s office. 6. Any other thoughts you’d like to share? We’re thrilled that our first ever LEED Platinum project is being featured as a Red Diamond award winner. We hope that it serves as inspiration for others to see that green design does not have to be expensive, or boring. We look forward to using Integrity’s fiberglass window products on our upcoming sustainable multi-­‐family buildings that we are developing in Seattle. Thanks to Dave for answering our questions. Make sure to check out his project to see more information and beautiful photos. And don’t forget about the People’s Choice Award. Vote now for your favorite project!